"Best chocolate frosting recipe I've found!" Stir melted butter and cocoa powder in a bowl until evenly mixed. Add confectioners' sugar and milk; beat until smooth and easily spread. Stir in vanilla extract. Very good! The only thing was that the frosting was kind of clumpy. But overall very rich delicious frosting! I loved this frosting! No problems with lumps as many stated. I sifted my cocoa before I mixed it with the butter, maybe that was the key. I will use this again and again. 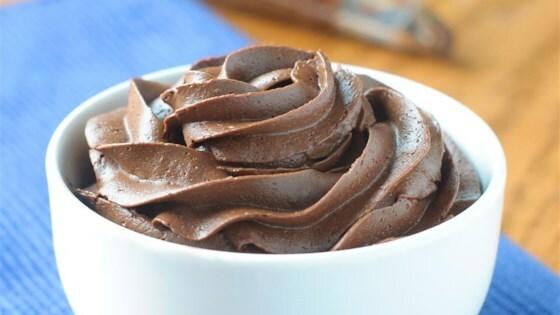 The Best chocolate Frosting recipe iv tried!! Very fudgy!! Creamy and soooooi good! !